The Gertrude Herbert Institute of Art is pleased to announce a Call for Entries for its 2011 juried fine art competition, A Sense of Place. Open to participants from throughout the United States, this 31st annual event seeks to recognize the outstanding quality and diversity of work being generated by contemporary American artists. Serving as Juror for the competition is Tom Hammond, noted printmaker and professor emeritus at the University of Georgia’s Lamar Dodd School of Art. 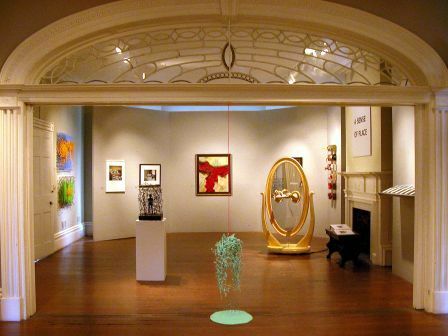 The 2011 juried fine art competition is open to all US artists age 18 and older. All works must be original, not previously exhibited at the Gertrude Herbert Institute of Art and completed on or after June 1, 2009. Work that predates this cut-off date will not be considered. Entries in the following media categories will be accepted: painting, drawing, mixed media, printmaking, photography, ceramics, and sculpture. Film and video pieces are ineligible. The exhibition is not judged in media categories. Three cash prizes will be given, including a $750 Best of Show Award and two $500 Juror’s Awards. Award recipients will be announced at the exhibition’s opening reception on Friday, September 16, 2011.